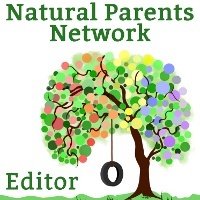 I wrote in October 2011 (for the Carnival of Natural Parenting, actually!) about how we minimized from a spacious 3 bedroom condo down to a 2 bedroom apartment and, soon after, into a 1 bedroom apartment. At that time, we were planning our next move, which was into a 10 x 10 bedroom and an attic room for the teen. That was our entire living space, which we rented from friends. A couple of months after Spencer was born, we took the next plunge: We bought and moved our family of five into a 200 square foot travel trailer. Wow. For real. In hindsight, yes, I think I may have taken things a little too far. We did feel the need to make that next move and it was what worked for us at the time, but spending Summer in a tin can in a slot with no shade... it was harsh. Otherwise, we rather liked our RV park. We used our shower as a space to stack drawers for Tyler and just used the shower facilities on site. The coolest thing about that was using the handicap accessible shower to have my husband's help bathing the littles. I loved our "Family Showers." Our next move was into a government subsidized neighborhood... it was a very cute home. It was 2 stories, 3 bedrooms, 2½ baths. Holy cow! We didn't even have this much space in the condo! We loved our space, though I had trouble with the stairs. This was also when Spencer's sleep issues surfaced, so he and I started sleeping downstairs. We also started over with basically zero furniture. All we had was mattresses and a desk plus kitchen stuff. The place looked very minimalist at first! But with lots of space... its like the stuff just follows. Now we've moved into a modest house (I love not sharing walls with neighbors!) with 2 bedrooms. This is more our size, though we're still a little cramped. Sasha and Tyler (about to turn 5 and 16 years old) share a bedroom, which holds a bunk bed and a full size bed. We share our bedroom with Spencer, using queen and twin beds. Somehow... we've amassed so much stuff! Again! I wouldn't say it compares with living in one place for years, but considering I have been a self-proclaimed minimalist, its a lot of stuff. And I guess that is the moral of my story. Its difficult to up-size your space without upping the amount of stuff you have. It has been amazing to have our own fenced in yard, though! I would say that is probably the biggest plus of our current home. I've been able to garden and Sasha has gotten SO much more time playing outside, which is something I very much wanted for her. We still dream of hitting the road, I think I just jumped the gun a bit. I'm not sure I can still call myself a minimalist. Have you made drastic changes to the size of your homes? How has that changed the amount of stuff you had? Being Barlow Home Tour — Follow along as Jessica at Being Barlow gives you the tour of her family's home. A Tour Of My Hybrid Rasta Kitchen — Jennifer at Hybrid Rasta Mama takes you on a tour of her kitchen complete with a Kombucha Corner, a large turtle, her tea stash, and of course, all her must-have kitchen gadgets. Check out Hybrid Rasta Mama's most favorite space! Why I'm Sleeping in the Dining Room — Becca at The Earthling's Handbook welcomed a new baby but didn't have a spare bedroom. She explains how her family rearranged the house to create Lydia's nursing nest and changing room in spaces they already had. The Gratitude Tour — Inspired by Momastry's recent "home tour," That Mama Gretchen is highlighting imperfect snapshots of things she's thankful for around her home. Don't plan to pin anything! Our Home in the Forest — Tara from Up the Dempster gives you a peek into life lived off-grid in Canada's Yukon Territory. Our Funky, Bright, Eclectic, Montessori Home — Rachel at Bread and Roses shows you her family's newly renovated home and how it's set up with Montessori principles in mind for her 15-month-old to have independence. Sight words and life lessons — The room that seemed to fit the least in Laura from Pug in the Kitchen's life is now host to her family's homeschool adventures and a room they couldn't imagine life without! Preparing a Montessori Baby-Toddler Space at Home — Deb Chitwood at Living Montessori Now shares the Montessori baby-toddler space she's created in the main living area of her home along with a variety of resources for creating a Montessori-friendly home. Isn't it crazy how your stuff grows to fit the space? When we moved to Mexico, we only had a trailer load of stuff. While we have rid ourselves of some things, we have bought other things and voila, the place is full again. Thanks for sharing! I do find myself thinking sometimes in smaller homes that things are simpler when you don't have so far to go. We have a lot of space by some standards but not a lot by others. I do think you grow to expand into a space. I've liked upsizing in some ways - especially with high ceilings looking out onto woods and a bigger yard - but still need to cut back on a lot of stuff and don't think the space really does my kids any favors beyond easy (if sometimes only visual) connection to nature. It totally makes a difference how much space you have! Stuff abhors a vacuum or something. :) That's what makes us not want to upsize if we can manage it — because we know it won't solve our clutter problem; it will just increase it!